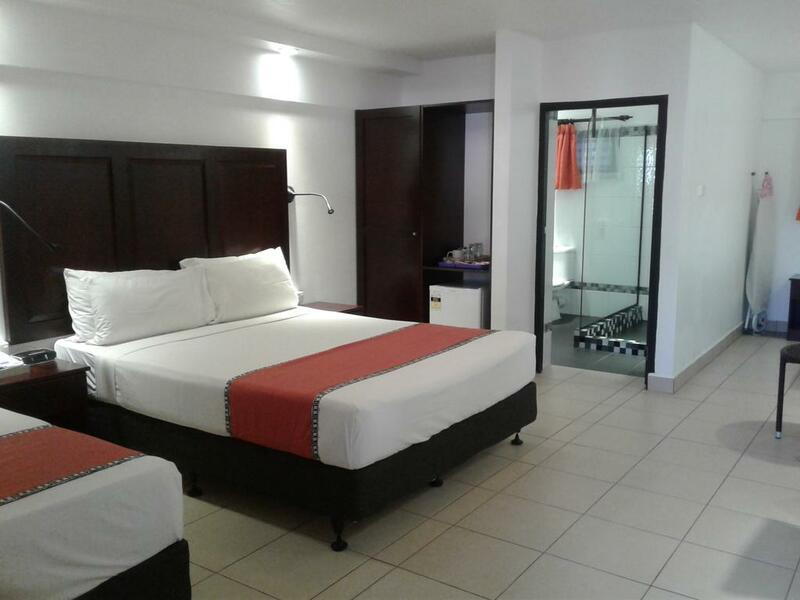 This air-conditioned studio features a balcony and tea and coffee making facilities, 1 single bed and 1 double bed. 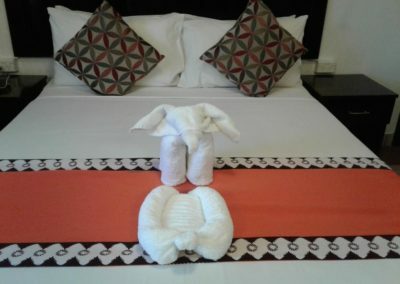 2 single beds and 1 large double bed. Features views of the courtyard, park-lands or sea. Relax and experience the comfortable and ideally located Suva Motor Inn. 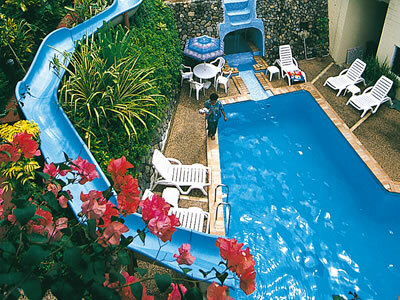 It is a place where you are guaranteed a home away from home. 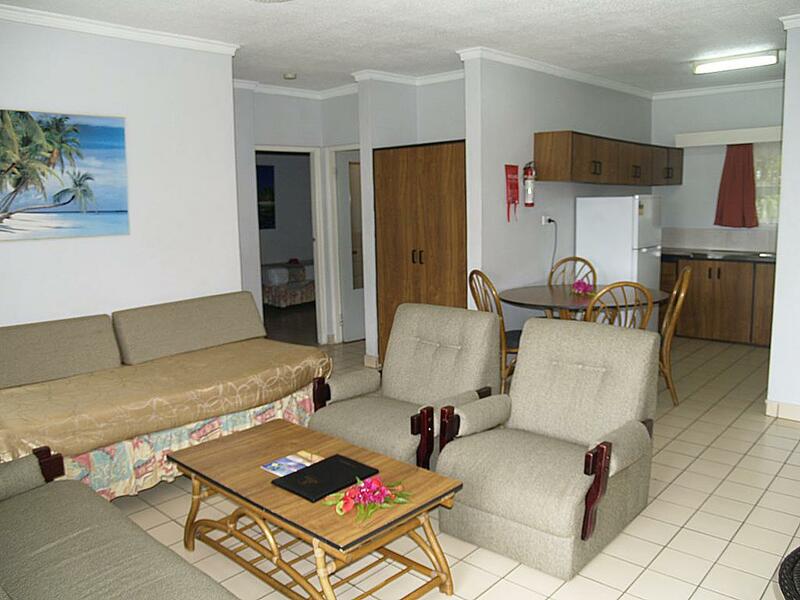 Treat yourself to the privacy and comfort of your fully air-conditioned studio or self-contained apartment. Just an easy stroll away from the heart of the city, this property is within close proximity to the Government buildings and Central Business District. Indeed perfect for both leisure and business travelers, guests on business will be delighted to have a great vacation as well since Suva Motor Inn boasts a water slide, infinity swimming pool and a cave spa for guests to rejuvenate and unwind. With 47 modern one and two bedrooms on site, they offer excellent amenities and guarantee utmost comfort. 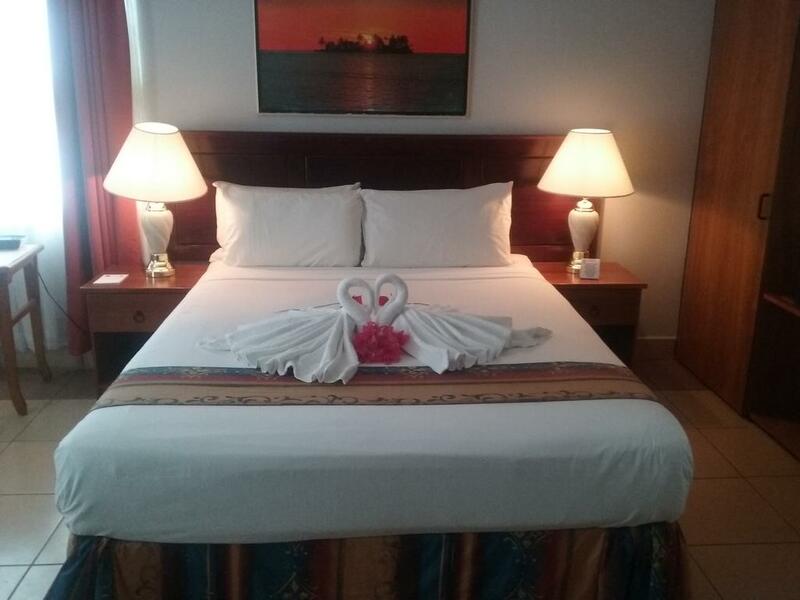 Moreover, in all the Suva accommodations only Suva Motor Inn has a small conference and meeting room that can cater for 20 people, full bar facilities, laundry service and child minding services. 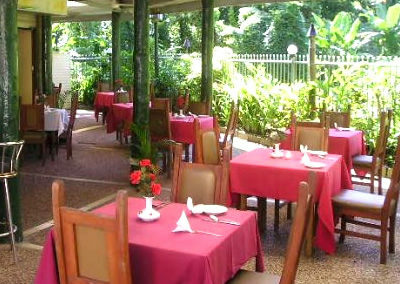 Dine at the Waterfall Bar & Restaurant. 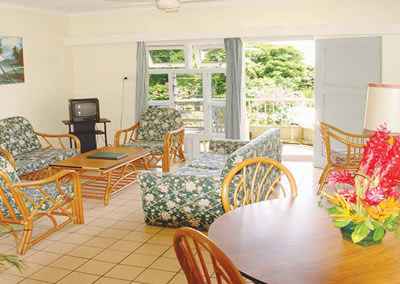 They offer a refreshing ambience and capture a great view of the beautifully manicured gardens. A great place to relax; Suva Motor Inn is an affordable lodge yet guarantees a fun filled holiday around. Children under 11 years stay free when using existing beds (except studios). One older child or adult is charged FJD $25 per person per night in an extra bed. 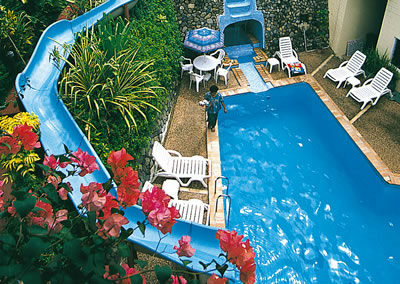 If cancellation is done inside 72 hours prior to arrival a one night fee will apply. A no show will result in full payment being demanded. All cancellations must be in writing by either fax or email and a confirmation of cancellation obtained. 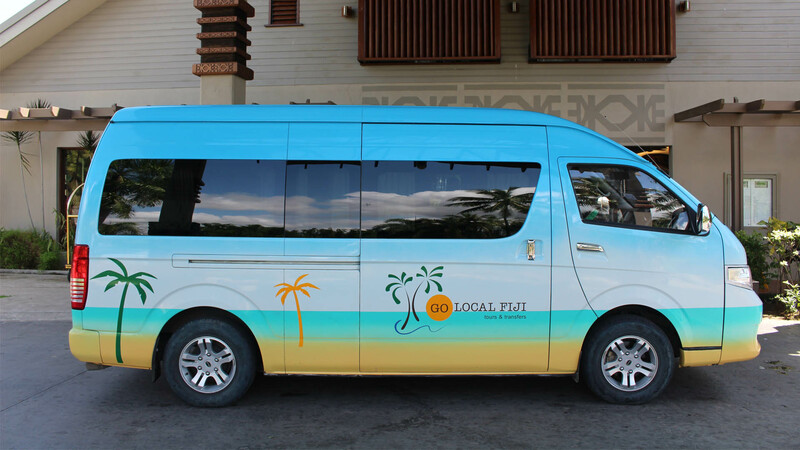 Nadi airport to Hotel/Resort return ground transfer. Rate is per person per seat. Minimum of 2 seats per booking. 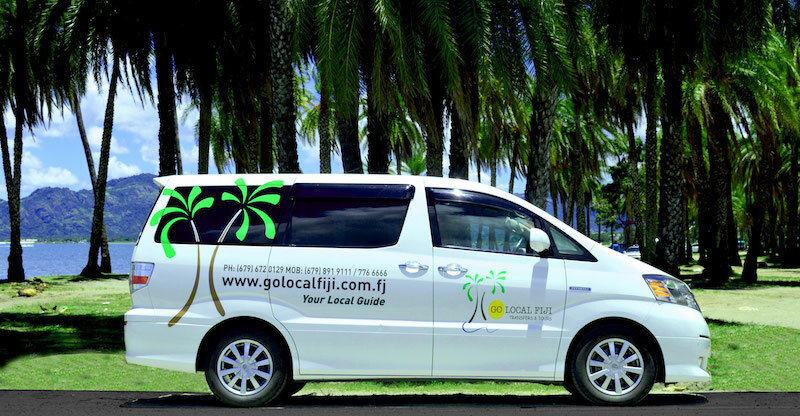 One way ground transfer from either Nadi Airport to Hotel/Resort or vice-versa. Rate is per person per seat. Minimum of 2 seats per booking. Nadi airport to Hotel/Resort return helicopter transfer. Rate is per person per seat. Minimum of 2 seats per booking. 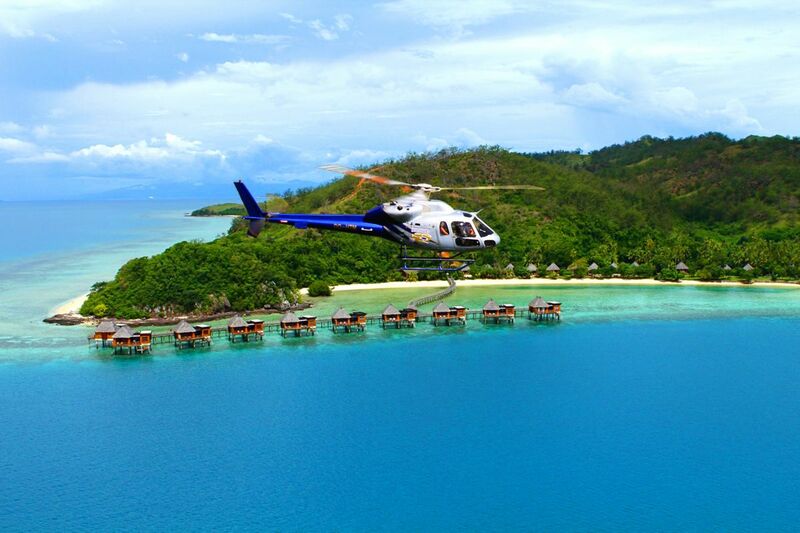 One way helicopter transfer from either Nadi Airport to Hotel/Resort or vice-versa. Rate is per person per seat. Minimum of 2 seats per booking. One way helicopter transfer from either Nadi Airport to Hotel/Resort & return ground transfer or vice-versa. Rate is per person per seat. Minimum of 2 seats per booking. 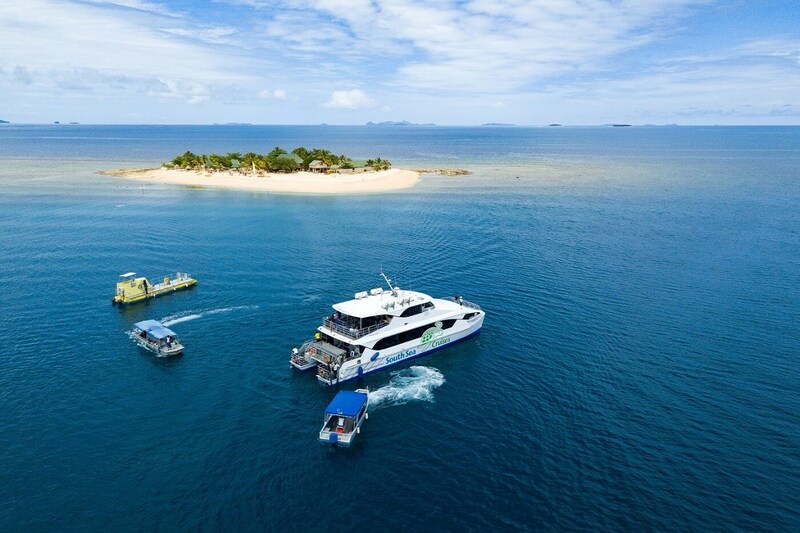 A day trip to South Sea Island is an easy 30 minute ferry ride from Denarau Marina with South Sea Cruises. The close location to Denarau means that you can make the most of the day lazing on the beach, snorkelling, diving and enjoying the myriad of activities on offer. 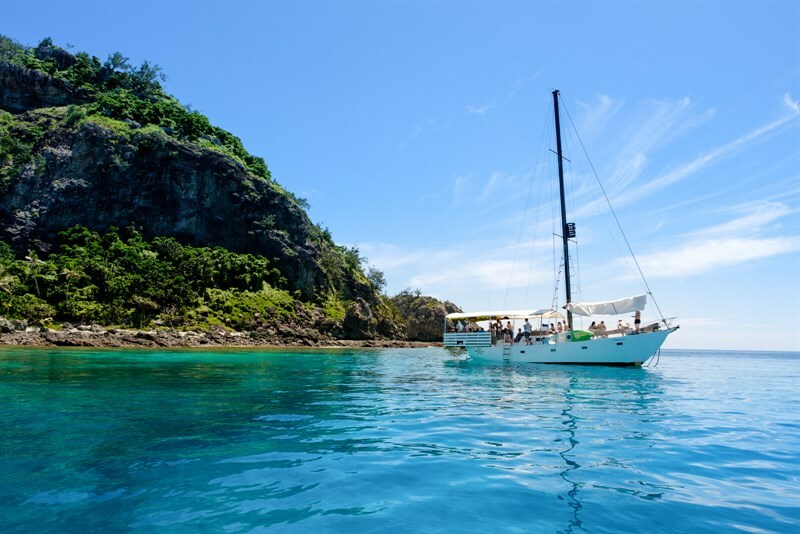 Get onboard South Sea Cruises Seaspray Day Adventure for a day exploring the crystal clear waters, beautiful beaches and lagoons of the Mamanuca Islands. 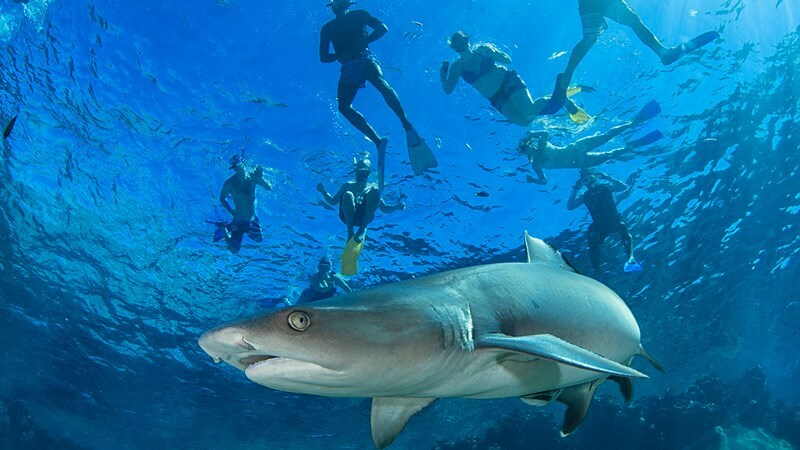 You'll snorkel with these ocean predators in their environment. Just crystal clear water between you and them, no cage, no aquarium. It is an adrenaline rush.